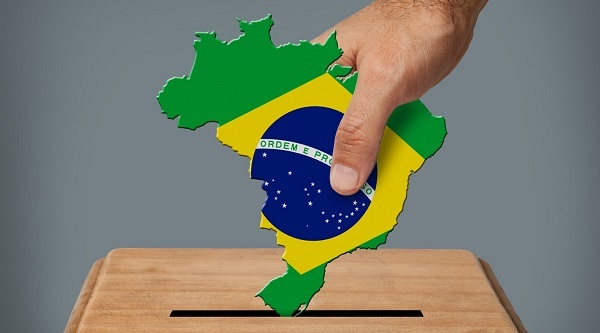 Join us for a networking breakfast followed by a talk on the upcoming elections in Brazil. Brazil heads to the ballot box on 7 October against a backdrop of high political and economic uncertainty. At the briefing, Verisk Maplecroft will update the baseline forecast delivered in July, including predictive scenarios and implications for the presidential race. The event will focus on key congressional races, how future dynamics in Brasilia may steer the course of structural reforms and how these may impact other key risk issues such as political tensions, social unrest, and economic uncertainty in 2019. Underpinned by the company’s mixed-methods approach, the presentation will include data-driven models and expert qualitative analysis to help investors evaluate their risk exposure during one of the most volatile political moments for Brazil’s contemporary democratic history. Jimena leads Verisk Maplecroft’s Americas research team, with regional and thematic experts based in the UK and Mexico. She is the Americas expert on Brazil and the Southern Cone, and frequently provides advice to multinational companies and multilateral institutions on political risk in Latin America. She participates in diplomatic, academic and business forums, addressing issues of regional and country-specific concern. Jimena also makes regular contributions to the British and foreign media. Prior to working for Verisk Maplecroft, Jimena edited several publications at Latin News and wrote extensively on Latin America, covering political, economic and security issues. She was also a contributor to the International Institute for Strategic Studies’ special dossier, The Farc Files: Ecuador, Venezuela and the Secret Archive of ‘Raúl Reyes’. Jimena studied History and Political Science at Randolph-Macon Woman’s College and obtained a master’s degree in Latin American Studies from the Institute for the Study of the Americas, University of London. Jimena is a native Spanish speaker and is also fluent in Portuguese.